Fitur is the International Tourism Fair, hosted in Madrid, Spain, every year towards the end of January. This is our 5th year attending it and we consider that FITUR is an unmissable date on the calendar, a meeting point for professionals where to establish lines of action, strategies and business alliances to energize and promote the tourism industry in Spain. Spain is a destination to further explore for those buyers that have already our country in their portfolio but a great discovery for those that are not selling it yet. 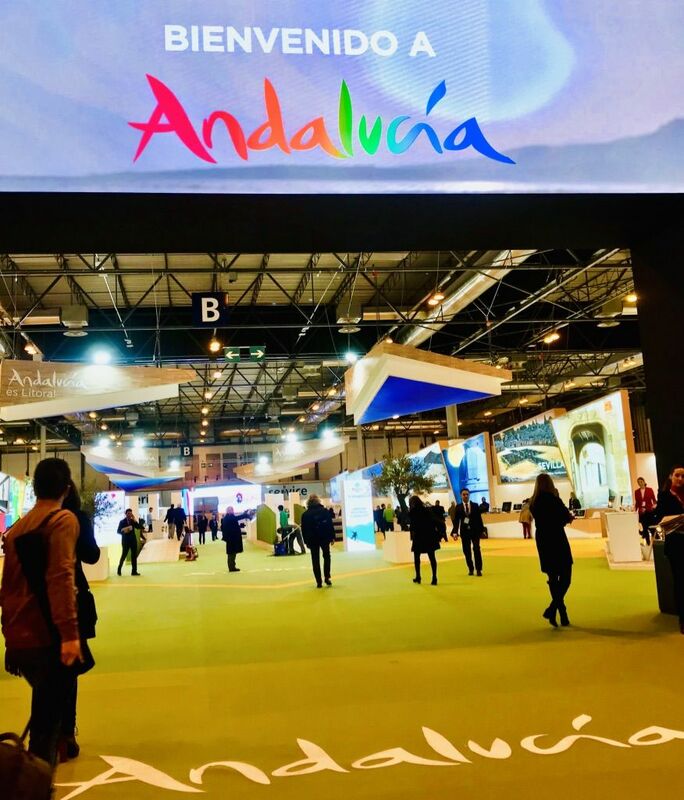 Our task in Fitur is to build a strong relationship with those buyers we are already trading with but also to start dealing with those that are searching for a loyal expert partner who knows every single detail about creating unique experiences throughout Spain. For 3 consecutive days (23-25 January) the Fair is purely focused on the trade sector. We have been meeting with suppliers and partners from all over Spain to help us growing our database and being able to offer new and exciting experiences for our discerning travelers. This year has been particularly interesting the presence of companies from Ronda where we already have a strong relationship but always willing to increase our expertise in that region which is one of our favourite in Andalucia. During the weekend, the Fair is free open to the public. People interested in travelling within Spain or abroad are welcome to visit the stands and participate on the several shows that take place for the entire weekend. Fitur is also a great opportunity to meet with international buyers. That’s why is so important for us to attend the B2B Workshop (business to business meetings), which is organized by Fitur itself. We attended about 15 meetings with TTOO and outbound agencies from USA, Canada, Australia, UK and India, which are our main English speaking markets. We will be back next year again!